Revolutionize her modern dance practice with Bloch® Kids V-Waist Pants. • Specialized microfiber features a smooth and silky-soft hand. • High stretch improves range of motion and provides lasting shape retention. • Moisture-wicking design moves perspiration away from the skin for quick dry performance. 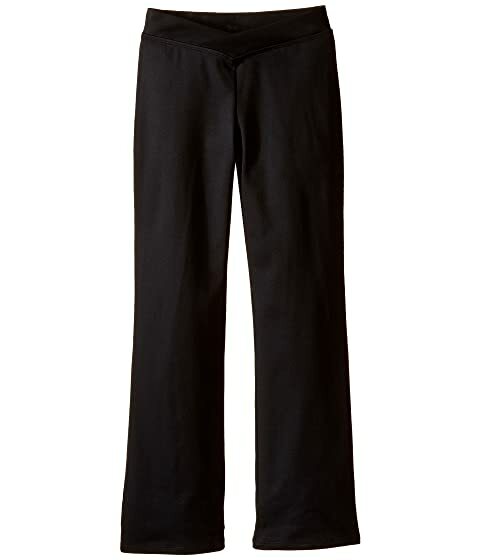 Pants feature a contoured rise and full length. Elastic waistband with lap V-front. Product measurements were taken using size 12-14 Big Kids. Please note that measurements may vary by size.